A century later, the role of providing essential support to Australian servicemen and women, and their families, is now carried out by the Departments of Vetran's Affairs. 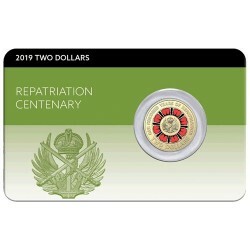 The centenary of the vital task of repatriation is celebrated with this 2019 $2 Coloured 'C' Mintmark coin in official Royal Australian Mint Card. 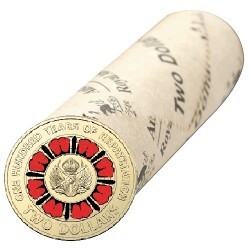 This is the coloured 'C' Mintmark coin presented in a full colour Royal Australian Mint Card.